In medium bowl, mix cream cheese, mayonnaise, lemon juice and garlic until smooth. Stir in clams, salt, pepper and Worcestershire sauce. Serve immediately, or refrigerate until ready to serve. At serving time, spoon into serving bowl; sprinkle with parsley. Serve with pita chips. Double delicious. Love that clam flavor? Toss in a second can of minced clams for some super shellfish deliciousness. Think ahead. 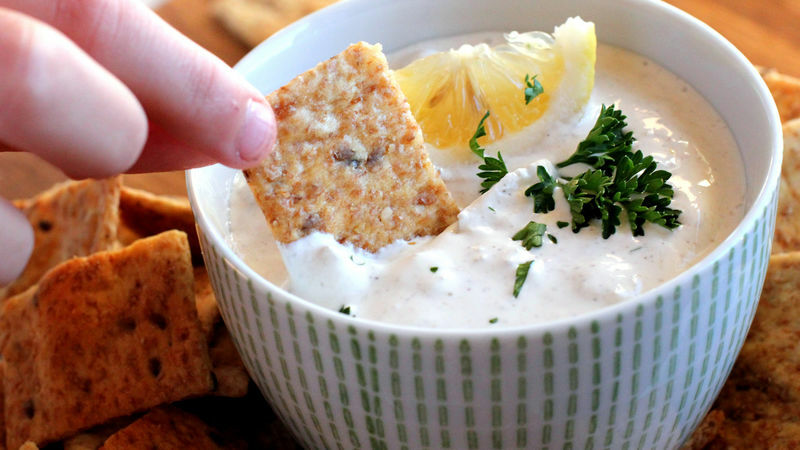 This dip is delicious right after it's whipped together, but even better the next day! Making the recipe a day before you need it, then storing it in the fridge overnight, gives all the flavors time to meld together. Yum!